Super Shine gloss with Intense colour to brighten up your lips. 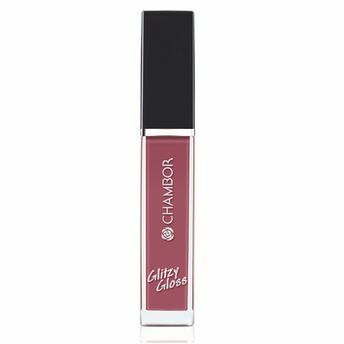 Chambor Glitzy Gloss Intense is a super glossy lip colour that instantly brightens up your lips. Its luscious, moisturizing formula restore suppleness. This high in shine lip gloss glides smoothly with a non-sticky feel that makes it absolutely comfortable on lips. The formula strongly adheres to your lips and lasts longer that most lip glosses.